A Beautiful Aerial Pan Over The Czech Village Kokorin Covered In Snow. 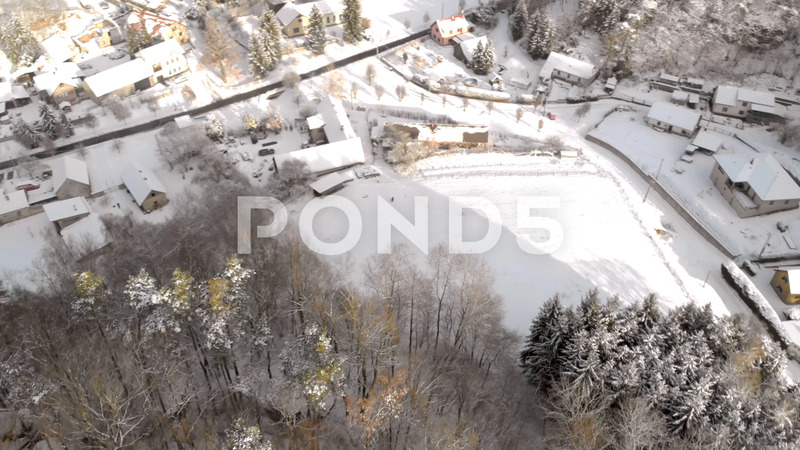 Description: A beautiful aerial pan over the Czech village Kokorin covered in snow. Camera turns to reveal surrounding woodlands and rocky outcrop. Aerial, pan, reveal, 4k.